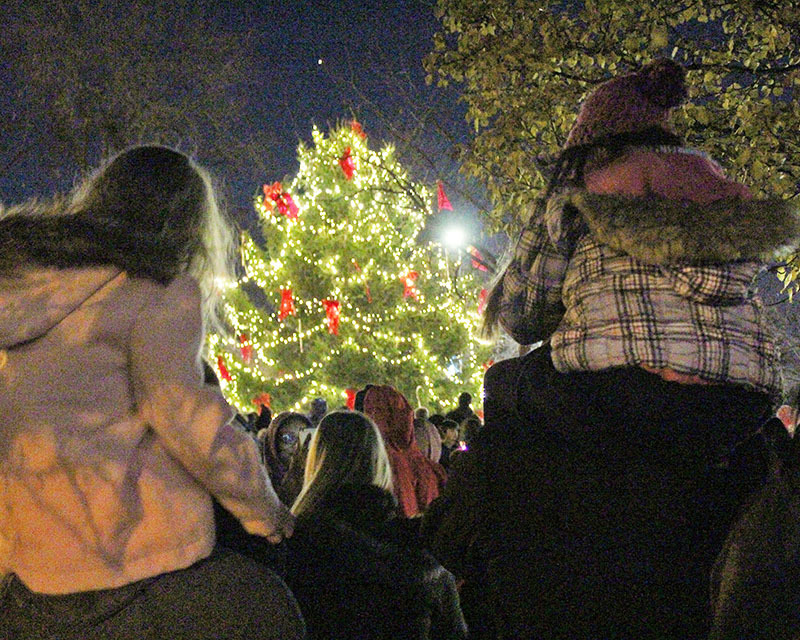 Shoulder-riding youngsters gaze upon the just-lighted Christmas tree in Irwin Park. 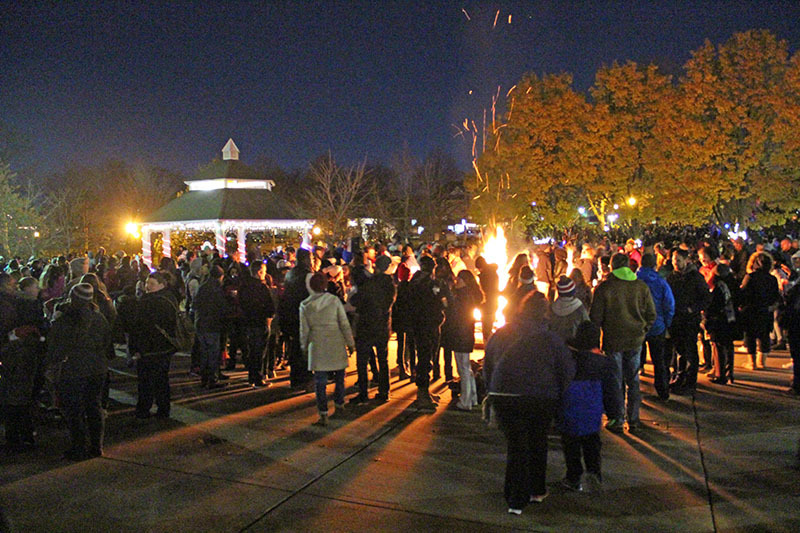 The crowd gathers around the bonfire in Irwin Park, awaiting the arrival of Santa Claus. 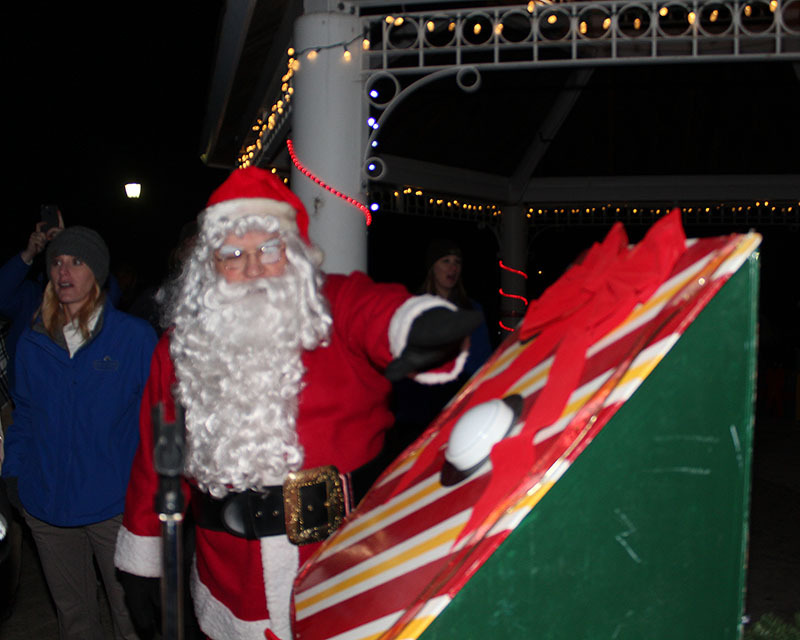 Santa Claus hits the big button that turns on the lights of the community Christmas tree in Irwin Park. 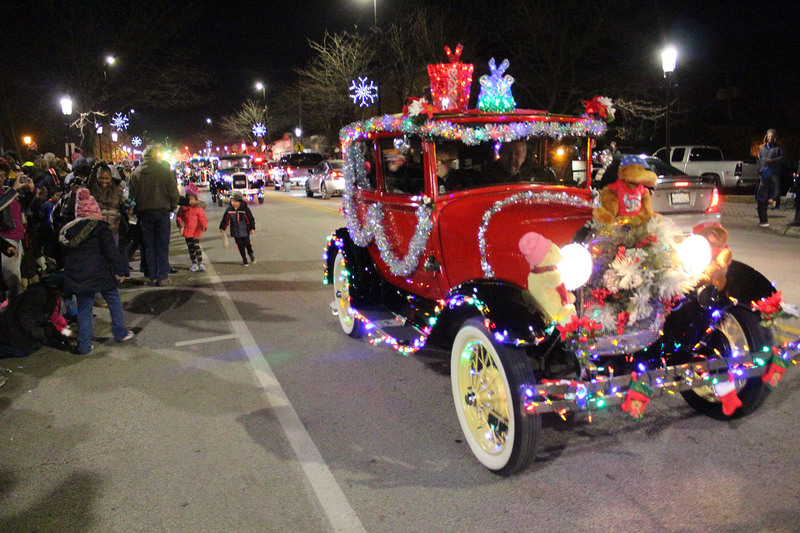 Local historian Jim Wright leads the parade of decorated vintage cars. 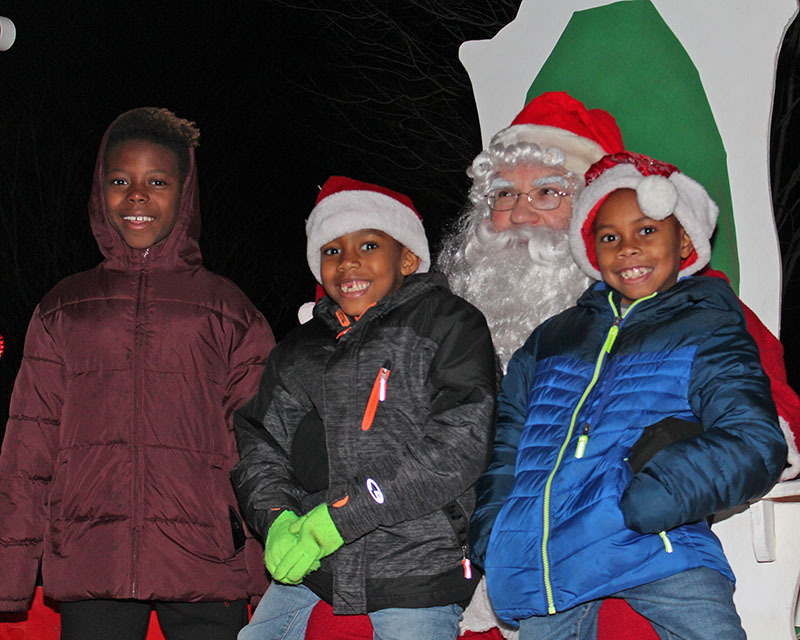 The first youngsters to sit in Santa's lap after the tree lighting are, from left, Leremiah, Jordan and Rashaun Davis of Homewood. 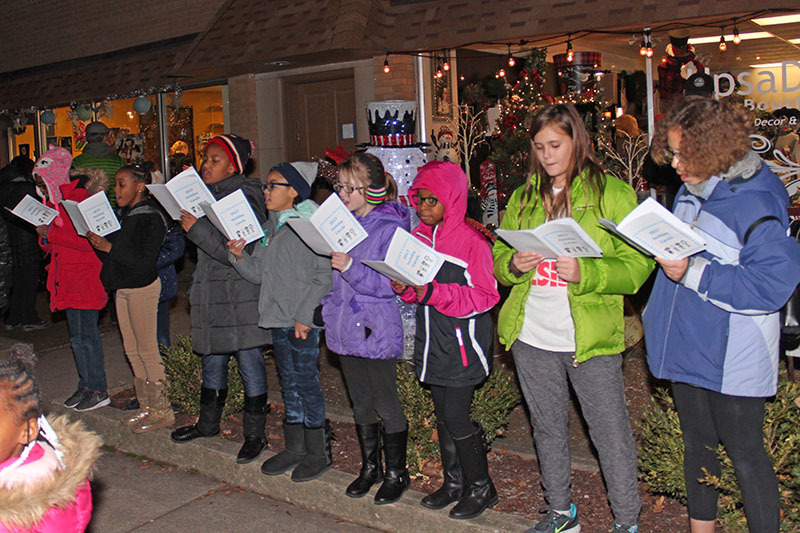 Girl Scout troop 20261 sings in front of Be Free Juice Bar on Martin Avenue. 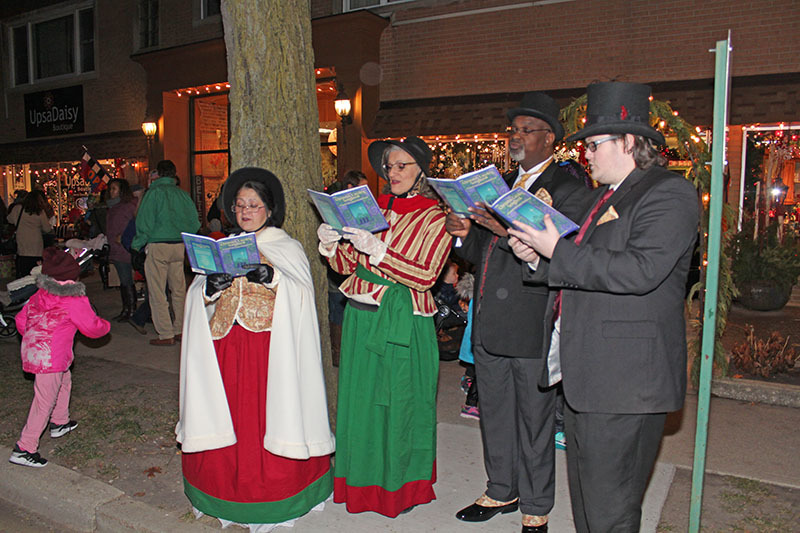 A group of carolers in vintage garb sing in front of Homewood Florists on Martin Avenue. From left, Jack Ermshler, Ben Foro (dressed as Christmas trees) and Quinn Michel. The three regaled festival goers with a spiel reminding them to recycle: "Merry Christmas. Don't forget to recycle your tree at Irons Oaks." 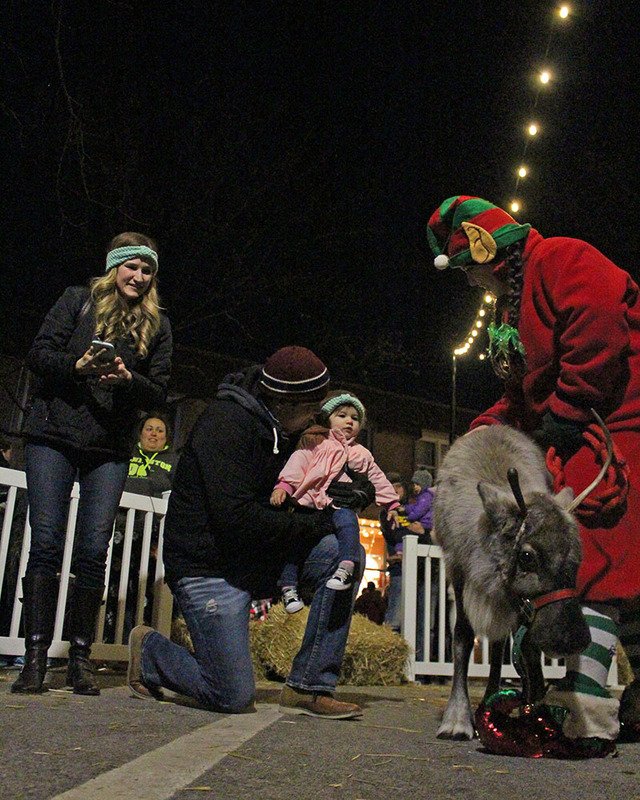 Louisa Chavez, 1, prepares to touch a reindeer with help from her father, Daniel, while her mother, Sarah, looks on. Southwest Community Concert Brass Ensemble performs holiday favorites. 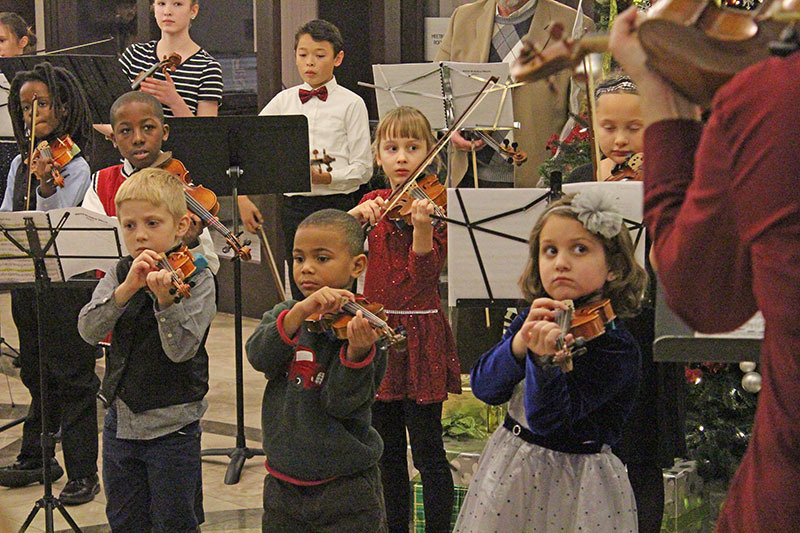 Local Suzuki strings students perform in the lobby of La Banque Hotel. 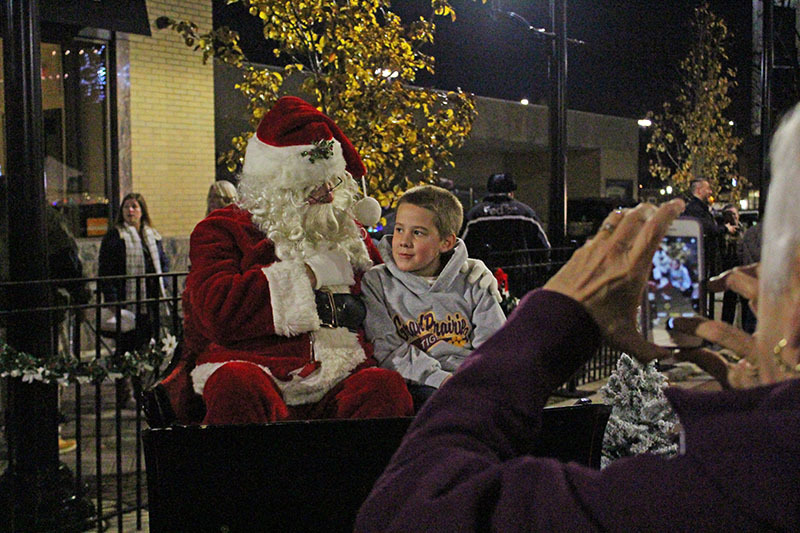 Jake Marks of Tinley Park visits with Santa on Martin Avenue. 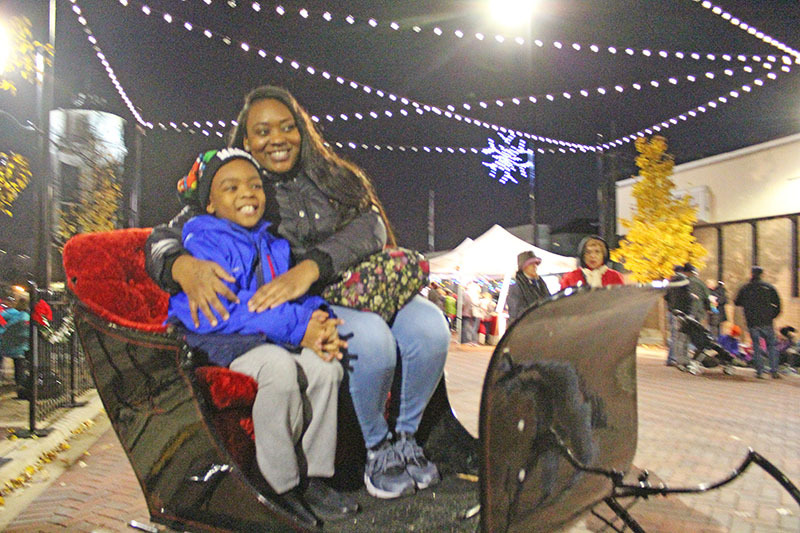 Tre Smith and his mom, Alesha Palmer, try out Santa's sleight on Martin Square. 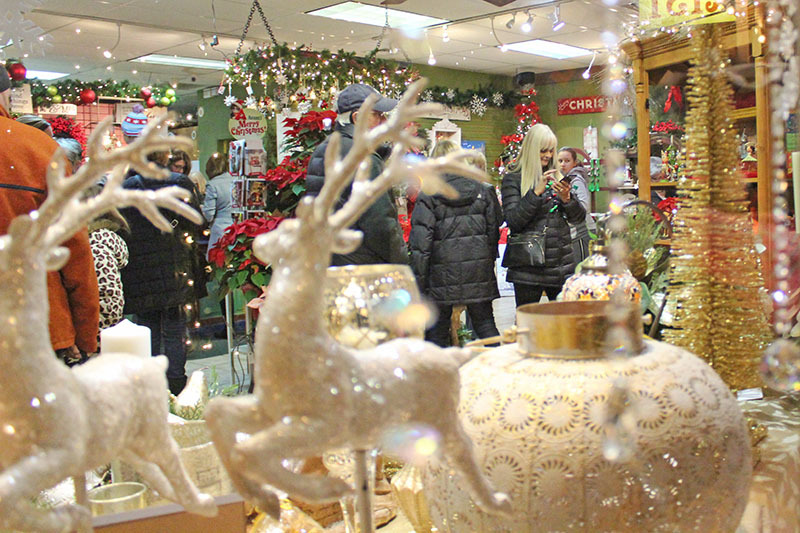 Shoppers fill local stores during the festival, including Homewood Florists on Martin Avenue. 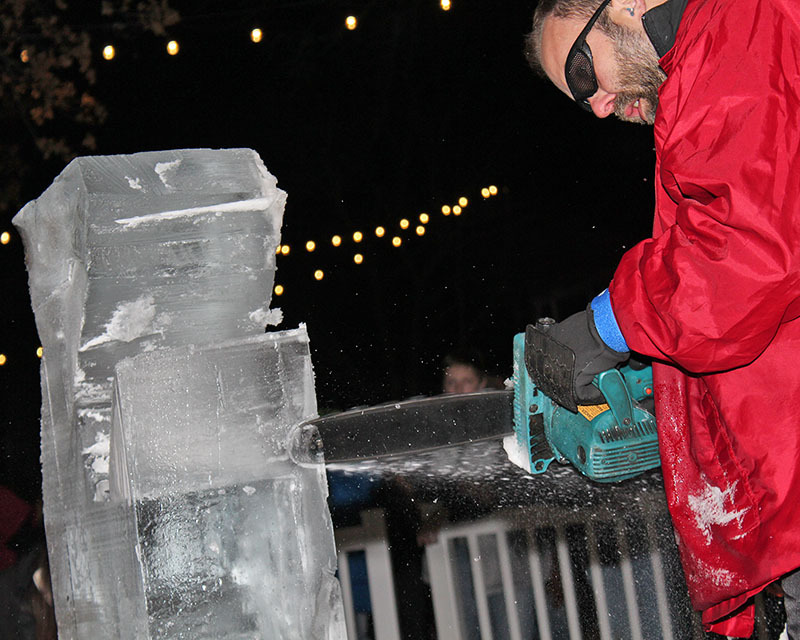 A craftsman with Nadeau’s Ice Sculptures works on a sculpture. 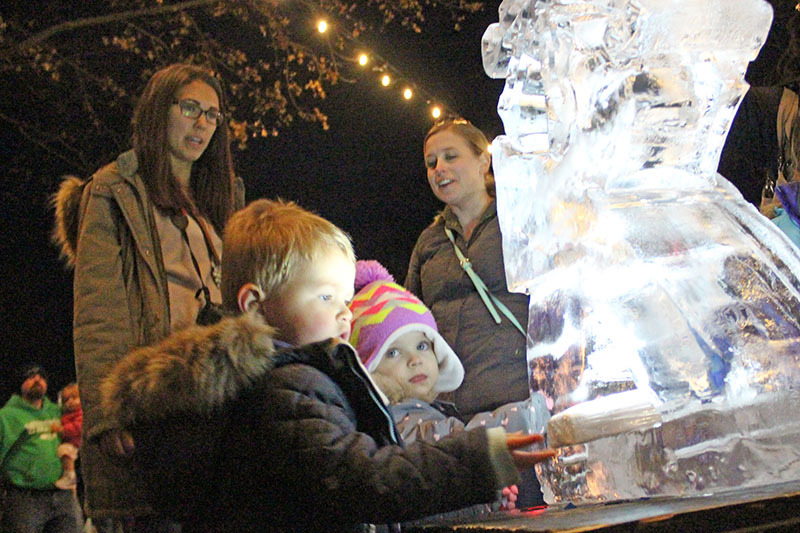 Jack McNicholas and Kelsey Vanoffelen, both of Homewood, examine a recently completed ice sculpture. 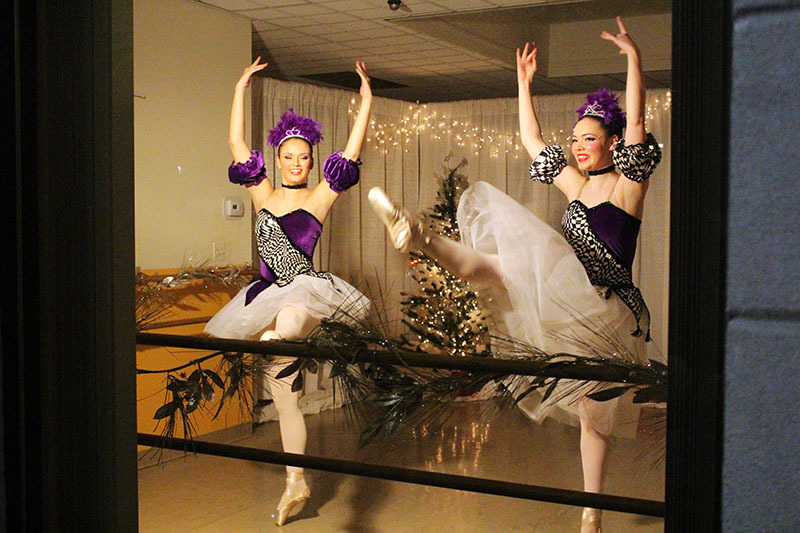 Dancers perform scenes from The Nutcracker in the window of the American Dance Center on Ridge Road. 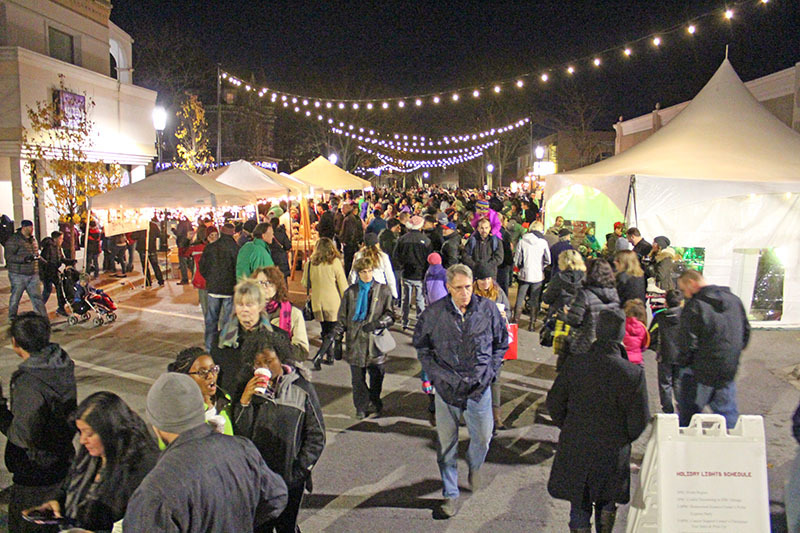 For a number of years, local residents have enjoyed Homewood's winter festival, Holiday Lights, but apparently the rest of the world is discovering the event, too. The turnout Friday, Dec. 1, amazed some local residents and village officials. Although no precise crowd count was available, Homewood Events Manager Allisa Opyd estimated at least 4,500 people attended, putting attendance about 50 percent higher than last year. "It was crazy," she said and noted that village officials are already beginning to plan next year's event with an eye toward accounting for increasingly larger crowds. 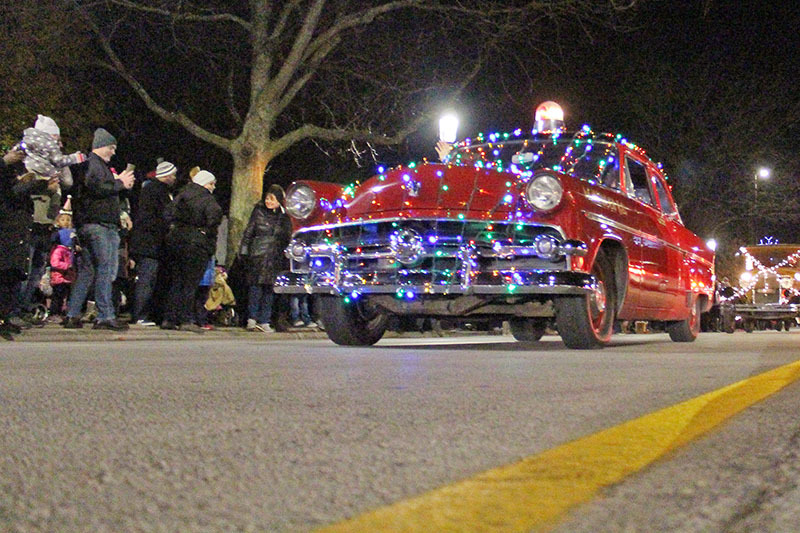 Parking spots were hard to find, and the collectible Holiday Lights mugs offered by the village, filled with either mulled wine or hot chocolate, sold out by mid-evening. Opyd said she's hoping to get a new shipment of the mugs in time for Miracle on Martin, a new holiday event slated for Dec. 16. She said dozens of volunteers associated with the Community Relations Commission and the Economic Development Committee joined village workers from police, fire and public works departments to work the event. "It was all hands on deck," she said. She credited the two village committees with their leadership in planning the event. "It wouldn't take place without them." 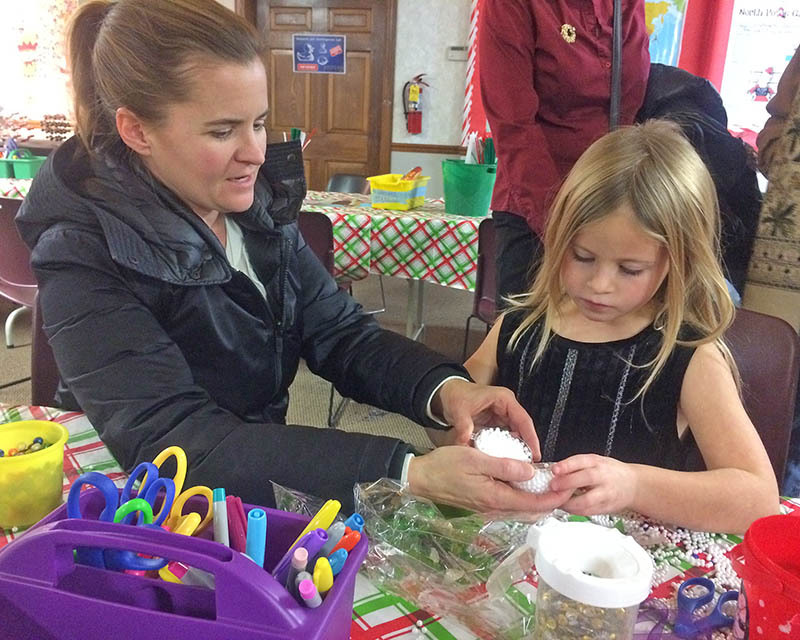 Kimberly Beatty stopped by village hall the next day to tell Mayor Richard Hofeld how much she enjoyed the event. She attends every year and invites friends from nearby communities. "We had so much fun," she said. "I love the music and all the food treats. It's a nice kick-off to the season." Family activities and a bit of nostalgia help make the event work, according to Opyd. 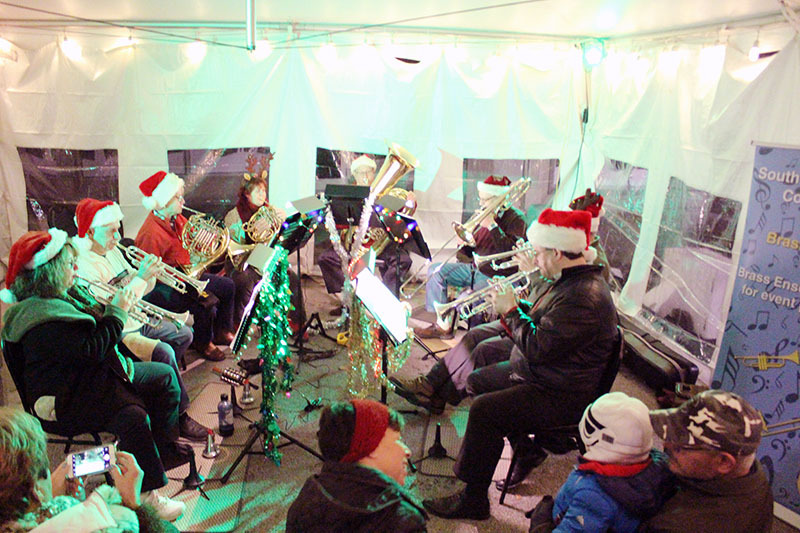 There were groups of carolers posted at various places, roaring bonfires to warm cold hands, opportunities for kids to visit with Santa Claus, plus music, food and shopping. "It resonates with everyone," Opyd said. "It brings everyone together." 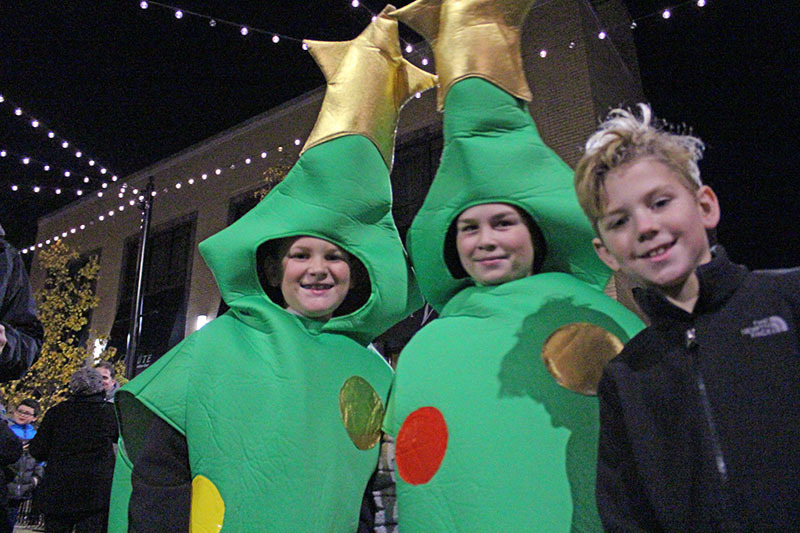 The event began evolving several years ago when Opyd was on the Economic Development Committee and worked with then-Marketing Director Rachael Jones to expand the community tree lighting event into something bigger. 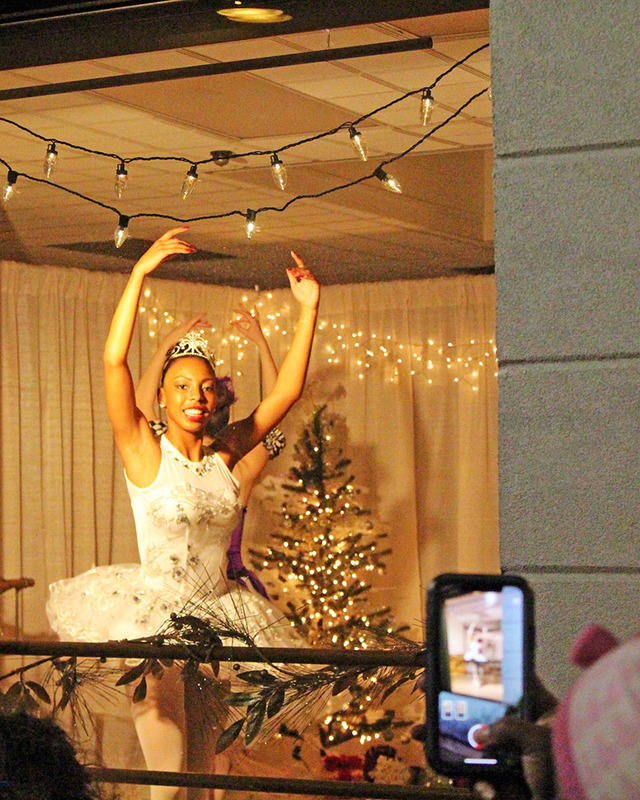 And the fact that the event is bringing people from other communities is a plus, Opyd said. "They are shopping here, spending money here," she said. 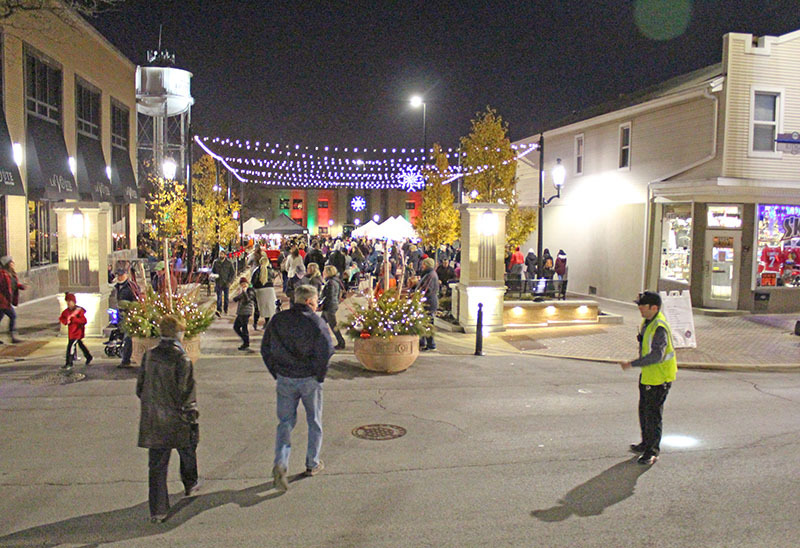 Opyd has heard reports from a number of downtown business owners who said Holiday Lights typically is one of their best nights of the year.